Foam rolling is the perfect way to get the knots out of your muscles and speed up recovery times. In this guide we review 7 of the best foam rollers for self massage. Self-massage is definitely growing in popularity with amateur athletes and it’s especially popular with runners. Once the secret recovery tool of elite athletes, the technique is growing in popularity thanks in part to foam rollers. These firm foam tubes are the ultimate method of getting the knots out of your tired and aching muscles. But with so many now on the market which one do you choose? In this guide, we review 6 of the best foam rollers and foam massagers on the market. Below, we’ve put together our choice of massagers and rollers with a rating based on ease of use, functionality, design, and portability. We’ve also noted the price with $ being extremely affordable and $$$ being more high end. 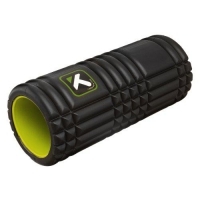 The TriggerPoint GRID is without a doubt the best foam roller that’s currently available. If you’re looking for a roller and massager that has it all then you can’t beat the GRID. Strong and durable, the TriggerPoint GRID is made from firm EVA Foam, measures 13 inches in length and can support up to 500lbs. The TriggerPoint GRID is ideal for total body massage, from upper/lower back right down to foot arches. What we really like about the TriggerPoint GRID is that it offers a number of different surface and texture options to really deliver the massage you need. Choose the standard, smooth finish for light touch recovery or use the criss-cross surface to really work out those deep tissue knots. When we conducted a straw poll in the office, we were surprised to learn that the majority of our team actually own a TriggerPoint GRID themselves. 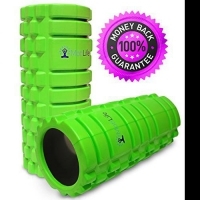 Much like the the TriggerPoint GRID, the IFLYING Foam Roller is the foam roller of choice of many physiotherapists and sports masseuses. The IFLYING Roller is constructed from EVA high-grade foam which means it’s durable and won’t crack when you put weight on it. Weighing in at just 1.95lbs and measuring 5.2 x 5.3 x 13 inches it’s light enough and small enough to fit in your gym back or even take with you when traveling. The IFLYING roller is suitable for weights of up to 400lbs so a little less than the weight limit of the TriggerPoint GRID. What we like about the IFLYING Foam Roller is that it simply excels at everything from neck massage right through to being the only foam roller on our list that can release tension in the soles of your feet with a true thumb like pressure… and believe us, after a long tough run it’s bliss! The Body Back Company’s Ultimate Trigger Point Release gives you EVERYTHING that you could ever need to massage out all those aches and pains. Body Back Buddy Pro Sport – Simply put, this is one of the best ways to really get the knots out of back muscles using the 11 therapy knobs. Matrix Roller – Features a fantastic grid design to allow you to get just the right amount of pressure from your massage. Rhinopro – The spikey Rhinopro ball has been designed to be rolled under foot and is a really easy way to massage aching feet while sitting at your desk or even in front of the TV. Deep Trigger Stick – Designed to help improve blood flow to your muscles to help aid recovery. It’s a nice alternative to the firm pressure placed on muscles when using a foam roller. If you’re looking for a pack that will give you everything you could ever need and more then you’ll certainly want to consider the Body Back Company’s Ultimate Trigger Point Release. A left-field choice, the Very Firm Physical Therapy Balls shocked us with how good they actually are. Massage Track, the makers of the Very Firm Physical Therapy Balls want you to love this product and offer a full 100% Satisfaction Guarantee. If you don’t love this product they’ll refund you! When the balls arrived, we were a little sceptical that they could be anywhere near as good as the TriggerPoint GRID or the IFLYING Foam Roller, but the truth is these are great. While they don’t offer the ability to roll your legs over different textures and surfaces they are still extremely effective at applying pressure to all the right areas and we’ve read several glowing reports of how they can really help with things like myofascial release. The MotiLife Foam Roller Trigger Point looks fantastic. It’s without a doubt the best-designed roller on our list Made from eco-friendly extra firm EVA Foam, the Blue Red is 13 inches long and 5.5 inches wide. The grid design of the MotiLife is great, each side (can a cylinder have sides?) 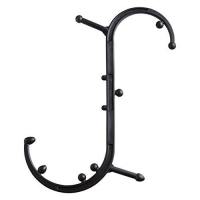 has a different grid layout offering different levels of pressure. You really feel that the MotiLife roller is helping to improve blood and oxygen circulation as it passes over your muscles. Why Should You Use Foam Rollers? First thing first, as a runner, self-myofascial release (SMR) or self-massage to you or me, can help you to release tension and tightness in muscles and trigger points. For athletes, this is hugely beneficial as the increased blood flow that foam rolling encourages helps speed up recovery time and can prevent injuries. Ideally, it’s best to use your roller before you even put your running shoes on and after your post-run stretch. Done first, SMR will help get the blood flowing through your leg muscles meaning you don’t start your warm up routine with cold legs. Adding 10 minutes of self-myofascial release to the end of your run has the added advantage of removing any left over lactate and blood pooling from the legs and allowing fresh, oxygenated blood to start pumping through your muscles. There are 4 main types of foam roller that are available to buy with each offering a different level of support and allowing you to apply varying levels of pressure. The best roller choice for runners, however, will be grid style foam rollers as these provide the most variety for pressure and comfort. White foam is the softest material out there, it’s a great option when you’re just coming back from injury or are simply looking for a way to roll out those extra sensitive muscles after an ultra (or even your first 5k). Much like white foam, the black foam is still relatively soft however it’s a bit firmer than the white stuff. For many runners, black foam rollers are probably the first type that you try out as they are common in gyms. 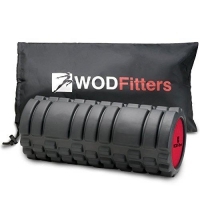 If you’re going to buy a foam roller then your best bet is to buy a grid style roller. These rollers are normally made from firm, eco-friendly EVA rubber and have a number of different surface textures each designed to apply different levels of pressure when used. Grid style rollers are without a doubt our favorites and are best suited for runners looking for a way to massage those aching muscles. Firm and extra firm rollers and as common and are normally prescribed for athletes coming back from injury and are used under the supervision of a trained physiotherapist. Heavy and with a little give, these rollers help to treat key areas of injury. Unlike grid style rollers, these rollers are smooth all over as typically they will be used to promote blood flow before a massage. 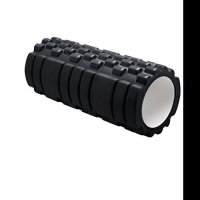 As mentioned above, the best foam rollers for runners are those which have a ‘grid’ style layout. These massagers will not only allow you to vary the type of massage that the roller provides but also the intensity and ‘depth’. Are you going to be travelling with the roller? How often will you be using the massager?